The LaRa (Lander Radio science) experiment has been selected for the ESA-Roscosmos ExoMars mission to be launched in 2020. The ExoMars 2020 mission consists of a rover delivered by a surface platform. The LaRa experiment will be located on the surface platform, therefore fixed with respect to Mars surface. Antwerp Space is presently working on LaRa Phase B. In 2017 and 2018, we will enter Phase C/D with the building of LaRa instrument models (thermal, structural, electrical, qualification and flight models), the delivery and integration of the flight model in the Surface Platform, for a launch in 2020. LaRa has been designed to transpond an X-band signal transmitted from the Earth ground stations back to the Earth. The relative radial velocity of the Earth and the Martian Lander is inferred from Doppler effects measured at the Earth ground stations. The Doppler shifts are measured from the Doppler tracking observations called "Two-way" by comparing the frequency of the radio signal received from LaRa with frequency of a ground-based reference signal. As LaRa performs a down coherent conversion of the carrier arriving on the uplink, the Masers of the Earth's ground stations ensure the frequency stability of the LaRa transponder. The downlink carrier frequency is related to the uplink carrier by a multiplicative constant, the transponder ratio. LaRa uses an X-band antenna to communicate with the Earth, whose both dimension and weight are quite small. In order to minimize the radio blackout during the observation period of the Earth in the Martian sky, LaRa antenna is designed to obtain an optimal antenna gain centered on an elevation (angle of the line-of-sight from Lander to Earth) of about 35-45 degrees. Understanding the structure of and processes in the deep interior of planets is crucial for understanding their origin and evolution. As deep planetary interiors are inaccessible to direct observation, the most effective way to explore them is through geophysics, which can be used as a tool for “remote sensing” of the interior. The four major classes of geophysical techniques that are used to probe planetary interiors are seismology, geodesy, heat flow, and electromagnetism. The LaRa (Lander Radioscience) team proposes a radioscience geodesic experiment to precisely measure the rotation and orientation of Mars. 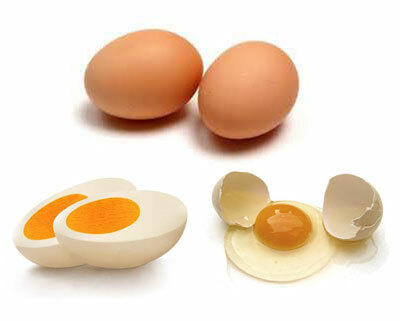 Most of us know that the rotation of a boiled egg noticeably differs from that of a raw egg. 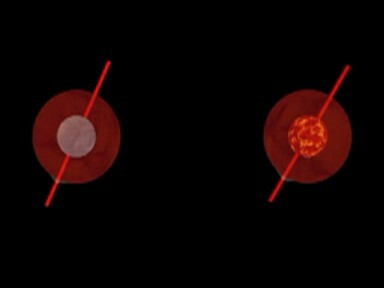 This simple observation shows that information on the inside of an egg can be obtained from its rotation. The same idea applies to the rotation and orientation of Mars. Changes in the orientation can be divided into two components: precession and nutation. Precession describes the long-term trend of the orientation changes in space, whereas nutation is the name given to the superimposed shorter-term periodic variations. 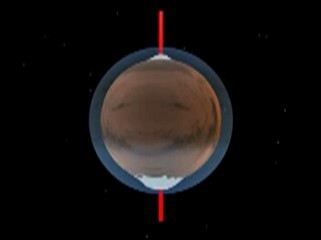 Precession carries the pole of the polar axis at a uniform rate in an anticlockwise sense along a circle on the surface of the celestial sphere, centred on the normal to the Mars orbital plane (ecliptic). Nutation consists of small deviations on the celestial sphere from this uniform motion, both along the precessional path (nutation in longitude) and perpendicular to it (nutation in obliquity). The resulting path of the pole therefore appears wiggly. Nutation occurs at several discrete periods, the largest of them has a period of half the orbital period of Mars. 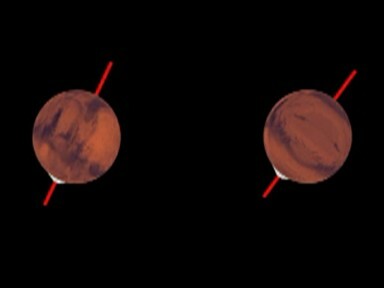 The rotation of Mars is approximately uniform, but variations in the length-of-day (LOD) exist due to angular momentum exchange between the solid planet and its atmosphere. 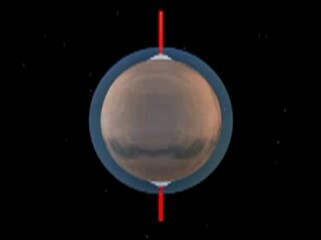 As Mars’ atmosphere changes with the seasons (seasonal changes in the atmospheric mass, in the winds and mass distribution in the atmosphere), the rotation of Mars also changes with the seasons. 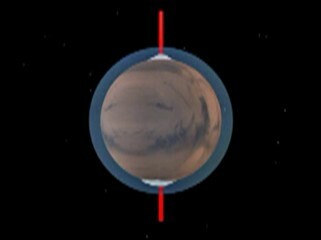 An important part of the LOD variations of Mars is due to the changes in the ice caps resulting from the sublimation and condensation process of CO2. Observations of LOD allow constraining this global mass redistribution and its changes with the seasons. The observation of the rotation and orientation of Mars can be performed by using radioscience, i.e. by tracking precisely the relative changes in the position of a lander on the surface of Mars with respect to terrestrial ground stations on Earth (of which the rotation and orientation are almost perfectly ( < cm level) known in space). These measurements will be performed by the here-proposed Lander Radioscience (LaRa) experiment for the ExoMars 2020 surface platform (SP). This experiment consists in measuring precise Doppler shifts on a two-way X-band radio link between the Earth and the LaRa transponder on the Martian surface. The precise tracking from Earth over a long period of time (annual or more) allows obtaining Mars’ precession, nutations, and LOD variations described above. This experiment is challenging as we aim to measure motions of about ten centimeters or less on a planet that is 200 millions kilometers away from the Earth. 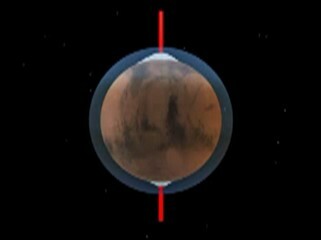 The LaRa (Lander Radioscience) investigation involves a radio link between the ExoMars Platform and the Earth and infers information on the interior structure of Mars from the accurate determination of the precession and nutation, which varies the orientation of Mars with respect to an inertial space resulting from the interaction of the interior mass distribution with the gravitational potential of the Sun. Precession measurements will improve the determination of the moment of inertia of the whole planet and thus the radius of the core, which has the largest effect on the moment of inertia. A precise measurement of the variations in the orientation of Mars’ spin axis in space enables an independent determination of the size of the core via a resonance in the nutation amplitudes. The resonant amplification of the low-frequency forced nutations depends sensitively on the size, moment of inertia, and flattening of the core. Observing it allows to determine core properties and to confirm the liquid state of the core. LaRa will also provide improved variations in Mars’ rotation rate, revealing variations in the angular momentum due to seasonal mass transfer be-tween the atmosphere and polar caps, by analyzing the direct-to-Earth radio link from the platform. Precision tracking of the Martian surface is performed through radio links between ground stations on the Earth and the lander on the surface of Mars. The experiment uses a coherent X-band communication to obtain two-way Doppler measurements, which measure the line-of-sight velocity. These Doppler measurements over a long period of time, in conjunction with other previous or simultaneous direct-to-Earth radio link measurements, can be used to obtain Mars’ rotational behavior (precession, nutations, and length-of-day variations). More specifically, measuring the relative position of the lander on the surface of Mars with respect to the terrestrial ground stations allows reconstructing Mars’ time varying orientation and rotation in space. 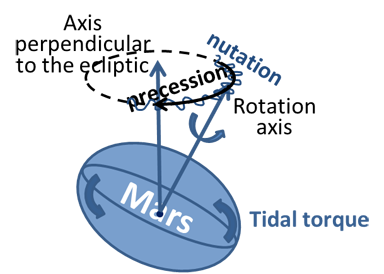 The ultimate objectives of this experiment are to obtain information on Mars’ interior structure and on the mass redistribution of CO2 in Mars’ atmosphere and polar caps. On 5 May 2018, NASA will launch the Martian mission InSight (Interior Exploration using Seismic Investigations, Geodesy and Heat Transport). Later, on November 26, it will reach the surface of the planet. The planetary scientists of the Royal Observatory of Belgium, in collaboration with American scientists, will study the seismometer (SEIS) and transponder (RISE) data, which are installed on the lander, to better understand the tides and the interior structure of the planet. The data of InSight will be added to those of the ExoMars2020 mission and of its transponder LaRa, to get a very precise picture of the interior of Mars. © Copyright 2015. Royal Observatory of Belgium. All Rights Reserved.